You know what they say about men with big feet, right? No? 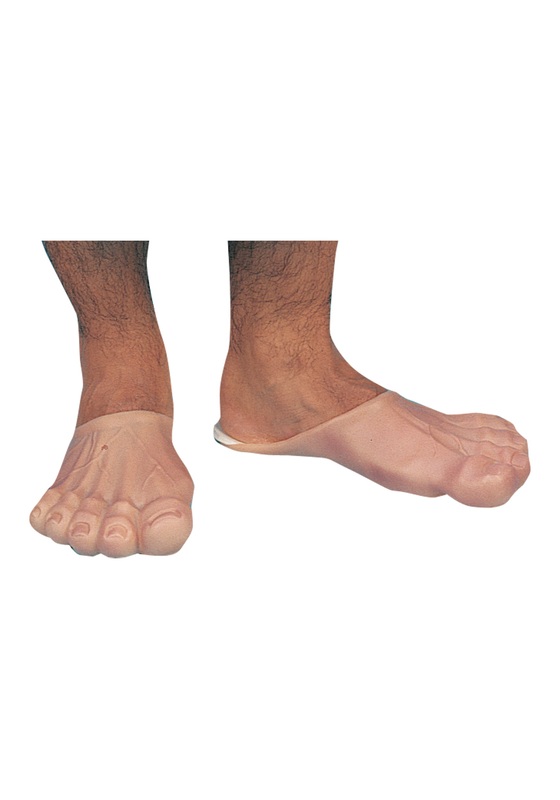 Well, neither do we… But we bet you can find out this Halloween when you add these awesome Men’s Funny Feet to your costume! Don’t know what you’re going as yet? That’s not a problem, let these hilarious accessories be your guide to the perfect costume. Transform into a citizen of Bedrock when you add these funny feet to your Flinstones-themed outfit. You could also choose to complete the perfect hobbit costume when you slip your ole dogs in these accessories. These Funny Feet could also be a great start to a Bigfoot costume. Those are just a few thoughts off the top of our heads and we’re sure with that creative mind of yours, you’ll be able to think of even more amazing costumes you could add these awesome Men’s Funny Feet too. Be the talk of the party this year when you walk in with this hysterical footwear finishing your Halloween costume!